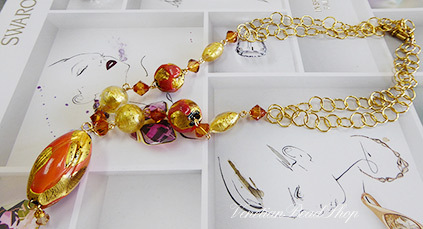 This classic Necklace uses wire wrapping to join our beautiful exterior Gold Foil Murano Glass beads with Swarovski Crystals and chain for an elegant relaxed look that you could wear to the office or just shopping. This makes an approximately 20 Inch Necklace. Click on the image for printable design instructions.